“Mr. Faymann resigned after his own center-left Social Democratic Party abandoned him following a stinging victory by the right-wing Freedom Party candidate, Norbert Hofer, in a first round of presidential elections on April 24. The Social Democratic Party governs in coalition with the conservative Austrian People’s Party. The two parties have dominated Austrian politics for decades. Unfortunately, there’s now a probability that Europe will go through an extreme-right experiment before it comes to its senses and renounces once again the sirens of nationalist populism. Austria is about to fall. Hungary and Poland are already in the throes of nationalist populist governments, and several other central European countries’ governments aren’t much better. The UK government’s stance on migration is very much on the populist side. France’s has presidential and legislative elections soon and might very well end up in a parliament which will only function if a coalition between the centrist right and the extreme right comes to power. Norway could also fall prey to such a discourse. In Brussels, the European Parliament might look very different after the next European elections. The European Council has been holding very conservative views on migration for a long time and the European Commission – long the guardian of common policies and cool-headedness – is incapable of formulating on the issue of migration any long term European vision that would rally a consensus among States. If an anti-immigration and anti-Islam majority emerges in parliamentary elections around Europe, we might be in for a very “bumpy ride” in the years to come. It will take a whole generation to realise that the policies they will put in place are unprincipled, harmful and deleterious. To read the full editorial by the Editorial Board of the NY Times, please click here. “More than one million desperate refugees fled to Europe last year, redefining the meaning of being down and out and in the search for a place where one might live in relative safety. This context of human suffering made the ruling last week by Italy’s highest appeals court ring all the more with mercy in the case of a hungry Ukrainian immigrant facing jail time for stealing $4.70 worth of sausage and cheese in a Genoa supermarket. The Italian court ruling comes perfectly timed for Francis, who has invited thousands of homeless and impoverished people to Rome in November to dramatize global poverty at the European Festival of Joy and Mercy. There’s no word yet whether Roman Ostriakov might be invited.” The New York Times – Mangia! Signore: Italian Court Spares Hungry Shoplifter. One of a few photographs taken by the crew of the OOC Cougar (rescue ship) as the migrants’ boat capsized upon approaching the ship that was attempting to rescue it. Photo credit: OOC Opielok Offshore Carrier. “The week commencing 12 April 2015 saw what is believed to be the largest loss of life at sea in the recent history of the Mediterranean. On 12 April, 400 people died when an overcrowded boat capsized due to its passengers’ excitement at the sight of platform supply vessels approaching to rescue them. 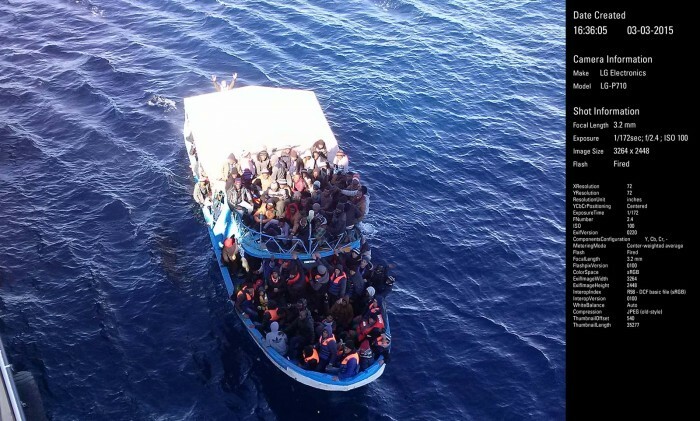 Less than a week later, on 18 April, a similar incident took an even greater toll in human lives, leading the deadliest single shipwreck recorded by the United Nations’ High Commissioner for Refugees (UNHCR) in the Mediterranean. Over 800 people are believed to have died when a migrants’ vessel sank after a mis-manoeuvre led it to collide with a cargo ship that had approached to rescue its passengers. More than 1,200 lives were thus lost in a single week. As Médecins Sans Frontiers (MSF) commented at the time, these figures eerily resemble those of a war zone. Beyond the huge death toll, what is most striking about these events is that they were not the result of the reluctance to carry out rescue operations, which has been identified as a structural cause of migrants’ deaths in the Mediterranean Sea. In these two cases, the actual loss of life has occurred during and partly through the rescue operation itself. The detailed reconstruction of these two successive tragedies provided in this report shows, however, that in all likelihood the merchant vessels involved complied with their legal obligations and did everything they possibly could to rescue the passengers in distress. While it could appear that only the ruthless smugglers who overcrowded the unseaworthy boats to the point of collapse are to blame, the report focuses on the deeper responsibilities of EU agencies and policy makers. The contrast was jarring: Just days after the police broke into the offices of an opposition newspaper using tear gas and water cannons, Turkey’s prime minister was greeted in Brussels with offers of billions in aid, visa-free travel for Turks in Europe and renewed prospects for joining the European Union. The juxtaposition highlighted the conundrum Europe faces as it seeks solutions to its worst refugee crisis since World War II. 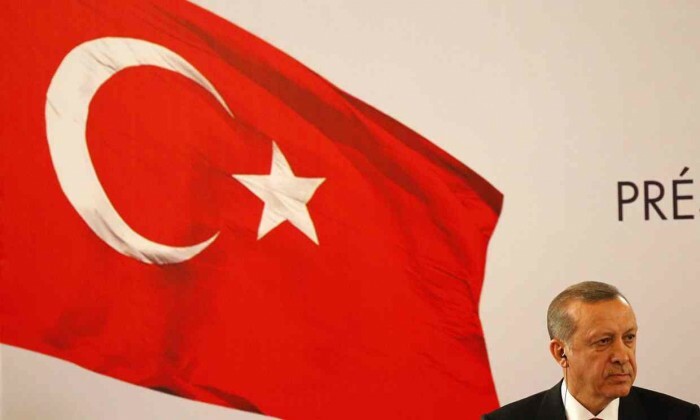 To win Turkey’s desperately needed assistance in stemming the flow of migrants to the Continent, European officials seem prepared to ignore what critics say is President Recep Tayyip Erdogan’s steady march toward authoritarianism. – The New York Times, ”E.U. 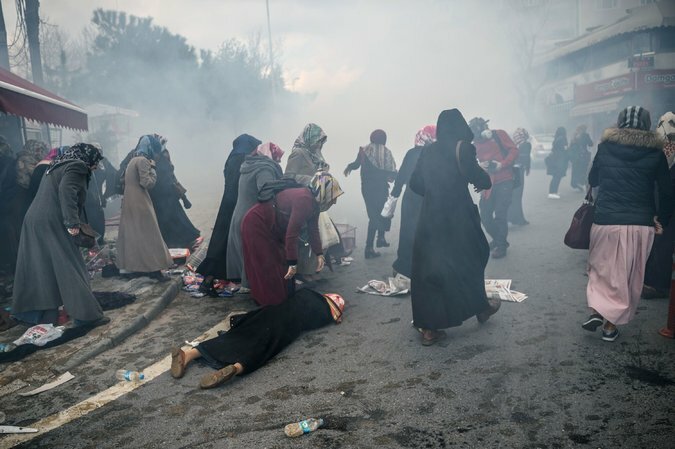 Woos Turkey for Refugee Help, Ignoring Rights Crackdown”. The only objective of European leaders is thus clearly stopping migrants. At any cost. At any financial cost. At any political cost resulting from endorsing an increasingly undemocratic regime. At any human cost to the migrants. All this to assuage the European electorates who are fired up against migrants by nationalist populist discourses. Seeing how political leaders are haggling over human lives as if they were boxes, and deciding arbitrarily that half the Syrian refugees are not deserving of European protection, while covertly accepting that Turkey is a safe country to which they can be returned, is nauseating. Turkey “is waging war on an ethnic minority, its riot police just stormed the offices of a major newspaper, its secret service faces allegations of arming Isis and its military shot down a Russian bomber” (The Guardian, Can a Turkey sliding into despotism and censorship still join the EU? The answer must be no): how can it be a safe country for Syrian refugees, when Greece was declared by European courts not to be a safe country for refugees? Are we going to have to wait years until European courts are called to intervene to see that this kind of deal is unacceptable?